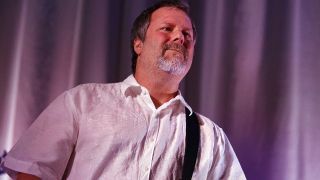 Faith No More’s Billy Gould will tour across the UK and Europe with MC5 this winter, it’s been confirmed. The bassist will join original MC5 guitarist Wayne Kramer, Soundgarden's Kim Thayil, Fugazi's Brendan Canty, King’s X bassist Dug Pinnick, Zen Guerrilla frontman Marcus Durant, Don Was and Pearl Jam's Matt Cameron to celebrate the 50th anniversary of Kick Out The Jams with MC50 Tour. It’s also been announced that former Hanoi Rocks frontman Michael Monroe will support to all dates, which will start in Bristol on November 9. “I’m not interested in a note-for-note reproduction of a record you’ve known your entire life. The world has lived with these songs burned in amber for half a century, so we’re going for an energy blast to end all. Kramer adds: “The message of the MC5 has always been the sense of possibilities: a new music, a new politics, a new lifestyle. “Today, there is a corrupt regime in power, an endless war thousands of miles away, uncontrollable violence wracking my country – it’s becoming less and less clear if we’re talking about 1968 or 2018. “I’m compelled to share this music I created with my brothers 50 years ago. My goal is that the audience leaves these shows mesmerised by the positive power of rock music.